Explore the complexities of the human mind while honing skills for counseling, research, ministry and much more. The Psychology program at Asbury University delivers a high-quality education in an encouraging and intimate atmosphere grounded in the Wesleyan perspective of orthodox Christianity. We believe humans are created beings, made in the image and likeness of God; and this foundational Christian faith is deeply integrated into the student’s experience practically, theoretically, and holistically. 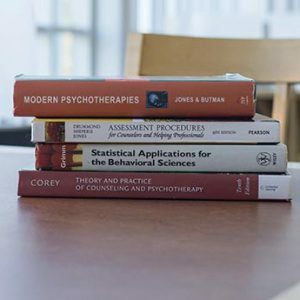 Asbury students gain a rich understanding of psychology, from its philosophical underpinnings to its contemporary scientific findings, through our wide selection of courses and areas of emphasis. Our Psychology graduates, on average, score in the top 15% on nationally normed content tests (about 40% are in the top 10%) and have a near 100% acceptance rate into a variety of graduate programs studying clinical psychology, counseling, experimental psychology, law, medicine, school psychology, theology, church ministry, business, marketing, criminal justice, etc. 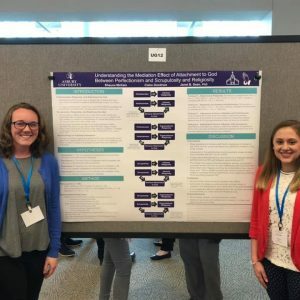 AU Psychology students receive individualized support from our highly-qualified faculty as they experience small class sizes, clinical and teaching practica, and undergraduate research projects which they present at state-wide psychology and science forums. 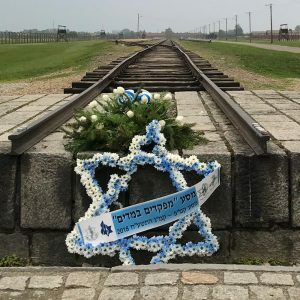 Our students are also ‘on the go’ visiting and volunteering at various Central Kentucky psychology-related sites like Eastern State Hospital and the Lexington Federal Medical Center (federal prison); they can even study internationally by going to Germany and Poland to visit Holocaust sites like Auschwitz, Ravensbrück, Brandenburg and Sachsenhausen. Interested? Contact the Admissions office to schedule a visit. 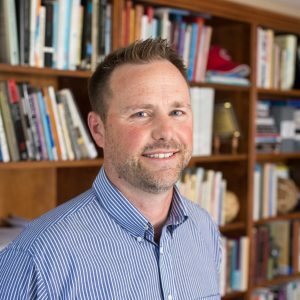 February 22, 2019 — Psychology Department Chair Paul Nesselroade recently published a textbook with John Wiley & Sons. June 1, 2018 — Year after year, the program has challenged students to deepen their faith and ask tough questions about the real-life problems and goings-on of the world. April 25, 2018 — Each year, Asbury University psychology majors demonstrate their dedication to their field by conducting and showing original research. Postdoctoral Fellow in Silver Springs, Md. Research Assistant and Project Manager, Department of Psychology, IU Indianapolis. Dean of Students, Guidance Counselor, Wesleyan School, Peachtree Corners, Ga.
Bill Pinto ’92, J.D., M.Ed. Asbury Psychology students, on average, score in the top 15% on nationally normed content tests (about 40% are in the top 10%) and have a near 100% acceptance rate into a variety of graduate programs studying clinical psychology, counseling, experimental psychology, law, medicine, school psychology, theology, church ministry, business, marketing, criminal justice, etc.